moderate rear angulation, long flocked coat shown in natural state, very good mover. 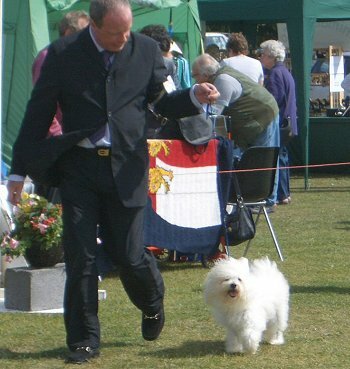 with his correct angulation for the breed, good pigment, typical coat, square build and exceptionally accurate movement. 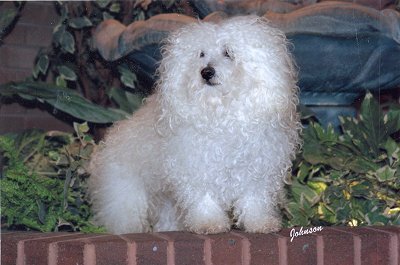 Photo from DOG WORLD, July 9, 2004. 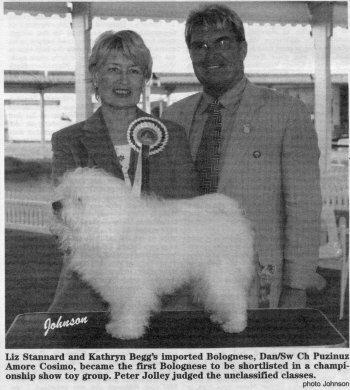 The final dog saw breed history being made as it was the first time that a Bolognese had been shortlisted. 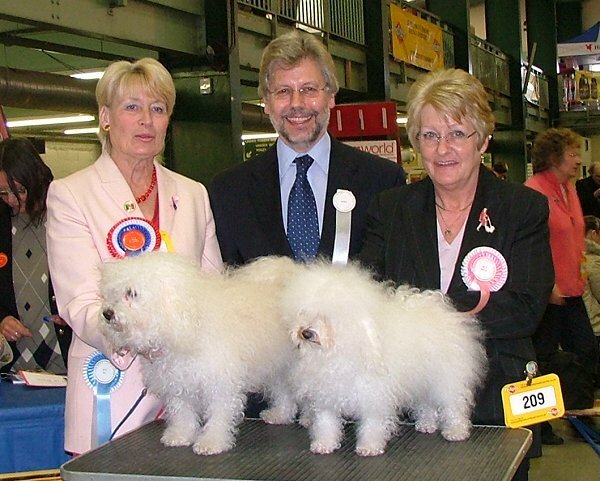 It was only fitting that the doyenne of the breed, Liz Stannard, was the handler. owner/breeder, Laila Bergman, to be campaigned in the UK for a season. 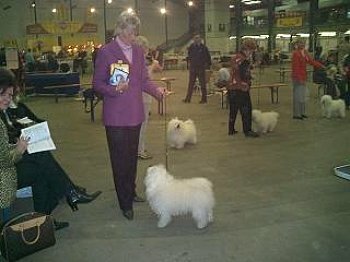 "Cosi" has been undefeated in both breed and AVNSC (as here at the show) since Liz has been campaigning him. 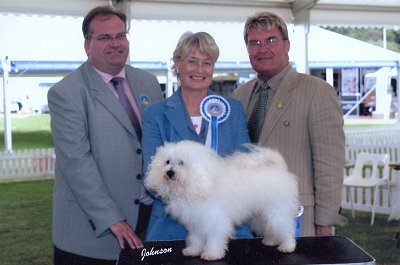 became the first of his breed to be shortlisted in the group. He is staying in this country for a year and is unbeaten in the breed since Liz began showing him.